I missed writing yesterday for various reasons, including day job, housework and prepping for today’s guests–well, not entirely as I was also doing editorial work. No horse as by the time I got done with day job and other stuff, it was raining, getting close to dark, and not worth heading out to the barn. 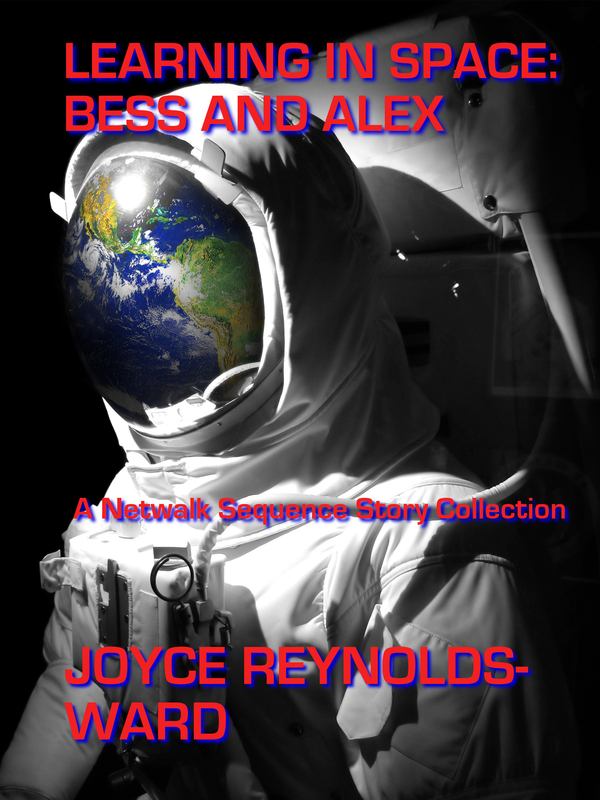 Today was bright and sunny but I had day job, guest prep, and…drumroll…prepping Learning in Space: Bess and Alex. Learning in Space includes my three almost-winner stories: Tranquility Freeriders (Writers of the Future SemiFinalist), Too High to Fall (Anthology Builder Finalist), and Of Archangels and Fuzzy Green Mascots (Writers of the Future Honorable Mention as In Archangel’s Arms). Bess Fielding and Alex Jeffreys are committed to a future in space with Bess’s family company, Do It Right. But that future comes with a steep learning curve in a place where the simplest mistake can be deadly…and not all those mistakes are naturally caused. Being a leader in new space technologies doesn’t stop sabotage from happening, however. As one of the leading production companies in space, Do It Right can be a target for the disgruntled and the ambitious. Nonetheless, Bess and Alex learn more about space and each other, until…good times come to an end…. With this book I’m just about done with Netwalk Sequence publications, except for the Disruption Chronicles. Besides book work we had friends over for snacks and a casual card game session. A pleasant afternoon for all. The house is nicely mucked out and reorganized as a result, just in time for the holidays. Not that we have many visitors, but one never knows. I took the explicitly Halloween decoration down but the fall decor will stay up through Thanksgiving. I’m really tempted by a big ski-themed decoration I saw in Safeway as it’s hard to find nice ski-themed stuff. OTOH, we’re winding down on the skiing, possibly, so we shall see.